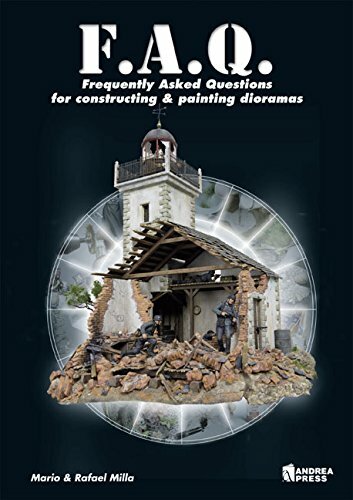 Possibly the most complete guide on how to make dioramas ever published, carefully elaborated to help you bring your dreamed dioramas to life alongside of two great artists and gentlemen.REVIEWS Putting F.A.Q. together so brilliantly must have been an extremely complex publishing project years in the making, but it was well worth it. Usually, the quickest way for today s hobbyists to conduct research is searching the Internet. But no computer can compete with the easy accessibility of this book. And, as an added bonus, it s packed with very practical and economical ideas for making dioramas look amazing without breaking the bank. My compliments to the Andrea and Milla brothers for sharing their passion, experience and knowledge with our hobby in such a wonderful way. This insightful and creative book isan impressive legacy that hobbyists will be turning to for years to come.Toy Soldier and Model Figure Magazine"